242 technology educators nationwide surveyed. Digital Wish implemented 1:1 computing programs in 28 schools. Findings: The research demonstrates that there are typically five or more sources of technology funding available to schools, but most schools only utilize 1-2 funding sources. Successful schools utilize many more funding sources and create a culture of professional development for technology. Recommendations: Every school should develop an action plan. Based on this research, Digital Wish developed tool that builds a starter school action plan in just 30-minutes. Build yours now click here. 88% of schools stated that technology budgets are one of their largest sources of funding. Nearly half, 46% HAVE NOT used other budget line items for technology. 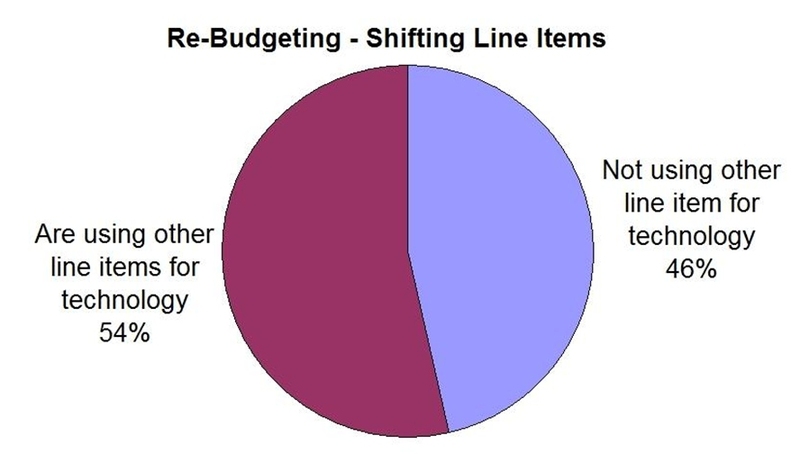 The most common sources of funding are technology budgets, re-allocating other budget line items (curriculum, special ed, copy machine), applying for grants, event fundraising, asking for donations from community leaders, and school board allocations. The most successful schools intentionally develop strong community ties, which in turn generates multiple sources of revenue. This lowers the risk that their technology initiative will lose funding with market shifts. Only 14% of schools report “re-budgeting” as a major source of technology funding, however it’s the most viable and immediately available strategy. Over half of schools are not applying for grants. Respondents shared that this is one of their most effective sources of funding, and over a quarter of schools who apply are raising over $20,000 per year. Successful administrators report that sustainability does not necessarily mean buying more technology, it means providing computer training courses for teachers so they can educate their students. 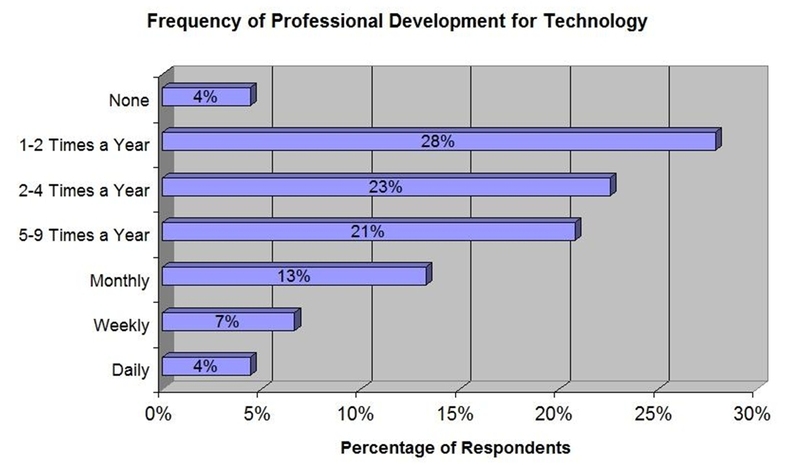 4% of respondents don’t have any technology professional development. 51% (over half) only have technology training 1-4 times a year. Nearly all of the successfully sustainable programs reported utilizing no less than 3 source of funding, and they all prioritized technology professional development as a cultural norm. Schools that are not sustainable typically have ready sources of funding available to them that are unutilized. 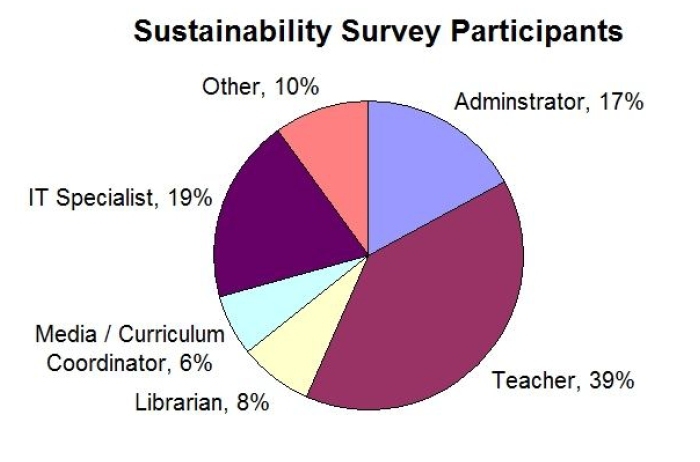 The majority of schools have not yet made the connection between sustainability and the need for professional development. Here’s a great tool to develop a starter Action Plan for sustainability. It only takes 30 minutes.